a timely fashion. This by far is our biggest challenge. We have struggled in getting enough capable volunteers in the past. usually no sales tax and many companies offer free shipping as well. This makes it very difficult to compete locally. spaces are needed for flea marketing. Indoor facilities are sought after by potential vendors. Costs must be controlled. Marketing and ticket sales are critical functions that need to be handled effectively, etc. 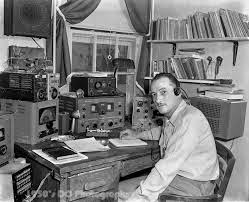 please email me at WB2GHC@ARRL.NET or contact any Board of Directors member. venues that are possibilities for our 2015 event. Thank you Charlie, your efforts are much appreciated by all of us. Check out the new CNY Hobby Information Net; Mondays at 7pm on the 146.67 (-) PL=103.5. What's your hobby? Model cars, Radio Control aircraft, Model RR or Railfans, Auto restoration, Cameras, Kites; among others ......we want to hear your story and experiences. Varying topics each week (no guns or weapons please...), so tune in or contact N2VZD, Tim for more information at N2VZD@AOL.com. 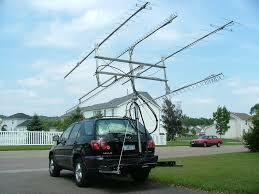 .....also check out the ARRL News Line broadcast at 8pm Sundays on the KD2SL 146.67 Repeater!